When Nora de Jong returns home from work one day, she finds her mother brutally murdered and her infant daughter missing. A man presumed to be the murderer is also dead in her home, and the police have no leads on where her daughter may be. Nora decides to take matters into her own hands, going on a quest to find her daughter that takes her to the Netherlands, where she gets a glimpse into her mother's early life during World War II. 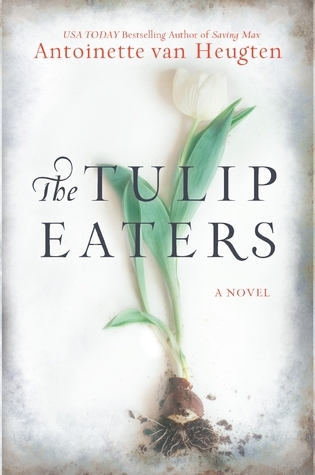 The Tulip Eaters by Antoinette van Heugten is a murder mystery that has a great premise. It kept me turning pages to the end, as I waited to see how if Nora would find her daughter and how things would be resolved. But with the murderer and kidnapper revealed in the first few chapters, along with the background story that led to the crime, there wasn't a lot of suspense for the reader. I also had a hard time connecting to Nora. I just didn't feel a lot for her, and I'm not sure how to explain why. Her mother was murdered and her daughter taken, but I didn't feel emotionally attached to her. In addition, the other characters were a bit over the top, especially those who did have a hand in the kidnapping of the baby. I did enjoy the background story of Nora's parents and the War in the Netherlands. It was an aspect that I never really read about before. The historical details in the story were intriguing. But the story itself was a bit flat. And the ending, while I don't want to give it away, was a bit too tidy and frankly, unrealistic. This review was written based on a copy of The Tulip Eaters that I received from Shelton Interactive in exchange for an honest review. Hmmm... thanks for the review. I love the cover.